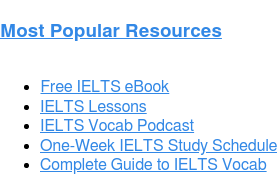 And don’t forget to check out these IELTS resources! Naomi:Welcome to the Magoosh IELTS Podcast! This is Episode 23. In this episode, we’re going to tell you how to study for the IELTS in one month. 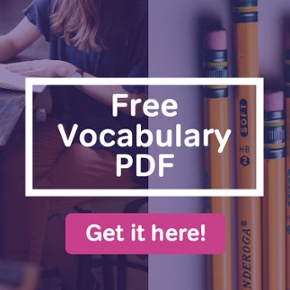 Afterward, you can check the show notes for direct links to Magoosh’s one month IELTS study plan, and links to recommended IELTS prep materials. Don’t forget to visit us at IELTS.Magoosh.com for more great resources to improve your IELTS band score. Use coupon code “ieltspodcast” to save 20% off your IELTS test prep! Eliot: If you need to study for the IELTS, you may wonder exactly what you should study, and how much time you should spend studying. Naomi: That really can be tricky. I mean, obviously, you want to practice for all four sections of the test. But is there anything else students should focus on, Eliot? Eliot: Well, Naomi, studying IELTS Listening, Reading, Writing, and Speaking does cover a lot of the bases. But yes, there are a few other general things students should study. Vocabulary is a big one. A good English vocabulary will help you in every section of the test. And it’s good to study skills that are test specific. Naomi: Now, what do you mean by test-specific? Can you give me some examples? Eliot: Sure. Let’s take pacing, the skill of finishing your tasks at the right speed. This skill is really specific to timed exams like the IELTS. But it’s not specific to any one section. It’s not really even a language skill, per se. As another example, it helps to understand the question types you’ll see in each section. Naomi: It sounds like you’re saying IELTS Prep should focus on language skills, but also include some test-taking skills? Naomi: So what does that balance look like? How much time should be spent on language lessons versus skills lessons? Eliot: Well now, that’s a tricky question. You really do need to strike a careful balance between language learning and skills building. It helps to have a good plan. Naomi: But how can students put together a really good study plan? It sounds like making a study timetable is a difficult task in and of itself. Eliot: It really can be tricky. I know this first hand, because I actually wrote some study plans for our blog. That way, students don’t have to put in that kind of hard work, and can focus more on their actual test prep They can use one of the Magoosh IELTS study plans. Our one month IELTS study plan is especially popular. Naomi: I’ve seen that plan on the blog. So that one month timetable– it tells tells students how much to study vocabulary, and how much time to spend on each language and testing skill? Eliot: That’s right. 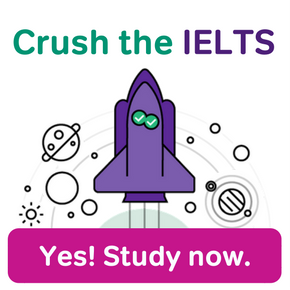 And in addition to covering the kinds of things you need to study, our one month study plan includes a checklist of the resources you should use–the right books, websites, and apps for the perfect 4 weeks of IELTS prep. Naomi: So what materials do the students need for this plan? Eliot: It’s a surprisingly simple list, actually. Almost everything comes from just one of two sources: the official makers of the test, or Magoosh. For official stuff, the plan requires The Official Cambridge Guide to IELTS, and two official IELTS websites: IELTS.org and the British Council’s IELTS page. 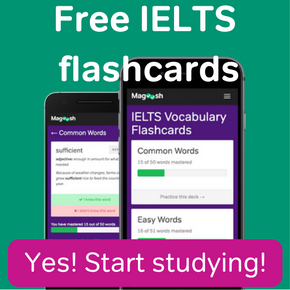 From Magoosh IELTS, students use our video lessons, practice questions, IELTS vocabulary flashcards, and blog posts. Oh, and one resource that’s not from us for from the people who make the test: EnglishVocabularyExercises.com. Naomi: I’ve been to EnglishVocabularyExercises.com. I didn’t see the IELTS mentioned on the site, though. Are you sure this is a really good source of IELTS prep? Eliot: Oh, definitely. You’re right that the website doesn’t really deal with the IELTS directly. But this site is all about intermediate to advanced English vocabulary. And that’s the exact level of vocabulary you’ll see on the exam. Naomi: That makes sense. So to do this study plan, the students need the official guide for the IELTS, the official IELTS websites, the Magoosh IELTS video lessons, flashcards, and blog, and that English vocabulary website. Eliot: That’s it in a nutshell. And once they have those materials, they can follow our detailed four week planner for IELTS Prep. Naomi: I feel like I understand the materials and activities now. But how does the actual schedule incorporate all of that? If I recall, you get a list of things to do for each of the four weeks? Naomi: Before we look at the structure of Magoosh’s one month IELTS study plan, let’s pause for a word from Magoosh. Eliot: In our study plan, you do get a list of what to do each week. And the schedule of study activities is even more detailed than that. We give a day-by-day breakdown of recommended study activities. Naomi: I can see how this could help a lot of students. So… four weeks, and four sections of the IELTS. Should students focus on a different section each week? Eliot: I recommend against that, actually. It’s important to remember that the four English skills are used together in real life. So it’s good to study all four skills in a week. Students should also get in some practice with vocab and test skills each week. Naomi: Wow, that sounds like a lot to cover every week. Will our students really have time for that? Eliot: Now that is a good question. I set up the study plan so that students need to prep for one or two hours per day, on average. Some days require more study time, though. 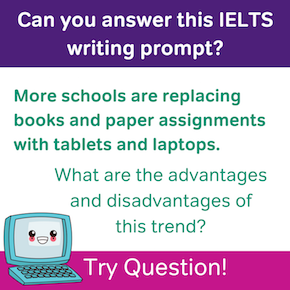 For example, students should set aside at least three hours on any day where they’re taking a full-length IELTS practice test. Naomi: That time sounds like it could be manageable. But what if something comes up? What if a student has a really busy day, and they don’t have enough time to do that day’s activities? Eliot: That definitely happens from time to time. In that case, I encourage students to catch up on those missed activities on another day in the week. Naomi: That kind of flexibility is good. Are there any other changes students can make to the plans, if they need to? Eliot: Absolutely. I set up all of the IELTS plans so that students can customize them. Some students, for instance, may be very good at IELTS Reading already, but also really struggle with IELTS Speaking. In that case, they could skip some of the Reading practice and replace it with extra Speaking practice. Naomi: It sounds like you’re saying the study plan can either be followed closely, or modified? Eliot: That’s correct. Many students go through our one month study schedule exactly as-is, but I’ve also heard from students who treat this plan as a loose guideline– a foundation for a personal plan they put together for themselves. Thanks for listening! If you like our show, help us out by leaving a rating and review in Apple Podcasts, it helps people find us! And don’t forget to hit the subscribe button. Until next time! This is Naomi at Magoosh, wishing you happy studying! Study IELTS in One Month, How should i do it?